An analysis by Downs & St. Germain Research Inc., consultants to Pasco County, reveals that 965,000 tourists visited Pasco County during 2018, with a $615 million impact on the county’s economy. Downs & St. Germain Research conducted the county’s first-ever visitor tracking study. They completed face-to-face, phone and online surveys with Pasco County visitors. As a result, the researchers were able to profile visitors coming to Pasco, and to quantify economic impacts of tourism in Pasco. Nearly three-quarters of Pasco’s visitors in 2018 came from Florida, New York, Georgia, Michigan, Ohio, Tennessee, Texas and Canada, the researcher’s report says. Of those, 57 percent stayed at hotels or motels; 23 percent stayed with relatives or friends; 14 percent stayed in a personal second home; 4 percent stayed at campgrounds/RV; and, 2 percent at vacation rental homes. The typical travel party was made up of 2.4 people, and among those visiting, nearly a quarter reported they were accompanied by at least one person 18 or younger. The vast majority of those visiting Pasco County drove in: Nearly 91 percent reported that’s how they arrived. Seven percent said they flew into Tampa International Airport. Top reasons for visiting Pasco County were: Visiting friends or family, special events, attractions, relaxation, vacation and outdoor activities. Ninety-eight percent of visitors said they will return to Pasco County. Adam Thomas, Pasco County’s tourism director, briefed the Pasco County Commission on some of the report’s findings during a recent meeting. Pasco County Commissioner Jack Mariano was impressed by the report’s findings. “I think you’ve got some awesome information in there,” Mariano said. 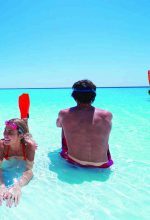 When visitors are asked to identify additional activities that they would like to see, they identified more outdoor activities, more family friendly activities, a water park, a music festival, more shopping options and more restaurants, Mariano said. 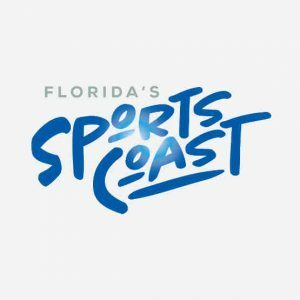 Pasco County Commissioner Mike Moore said the impact from tourism is already impressive, but he said it will increase, as the county’s new tourism brand — Florida’s Sports Coast — takes hold. “When the Wiregrass Sports Complex is finished, you can imagine how those numbers are going to increase,” he said. Moore noted that AdventHealth Center Ice — which was used as a practice facility by the U.S. Olympic Women’s Ice Hockey Team — already attracts big events. This is Pasco County’s tourism brand logo. 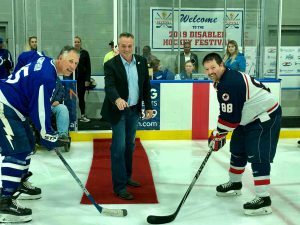 Over the weekend, the ice arena hosted the 2019 Disabled Hockey Festival, and will host more games this coming weekend. The ice arena is the first in Florida to host the hockey festival, Moore said, via comments shared with The Laker/Lutz News by his aide, Andy Taylor. “I am honored to participate in an event that shows anybody can participate and be included. I thank USA Hockey for their commitment to the disabled community and coming to Wesley Chapel,” Moore added. Thomas said the event is generating nearly 1,200 room nights. The tourism director told commissioners the county is working on a different event that’s expected to generate close to 1,400 room nights.